Its a beautiful day in the neighborhood. 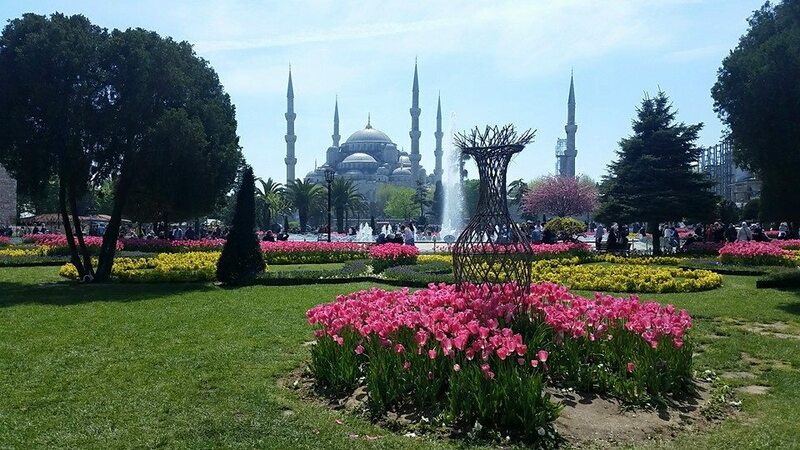 Also, Turkey wins for more tulips than I've ever seen in my life. All day people have been tweeting at me to find out when the second episode of our podcast Undisclosed will post and there were a lot of moans and groans when I told them 6pm EST. That’s what happens when everyone involved has full time jobs that having nothing to do with the podcast, sorry not sorry folks. I’m in Istanbul, Turkey right now for a closed conference on violent extremism convened by the Hollings Center, and had to make sure (and inconvenience the others) that we did all our taping before I left the US. 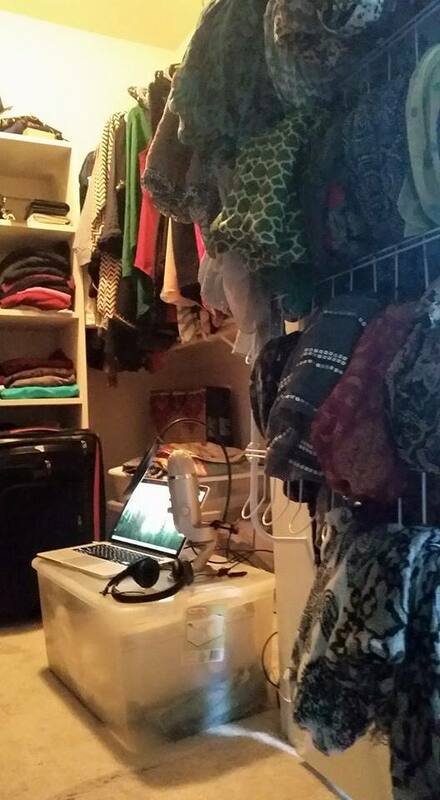 Having now established a state of the art sound studio in my home, its the only place I can tape. Check it out. The only quiet space in the house. No humming. No echoes. And I get to be really cozy with my clothes. Finally my 200 scarves come in handy. Given the stellar critical reviews of our first episode it was a hella risky move to tape and then take off with fingers cross for no more re-taping. A good editor is worth their weight in saffron I now say. Regardless, episode 2 is up, and given we’ve gotten over a million hits on the first one (and the mini-sode Addendum), so let the feedback stress ulcers begin. The Undisclosed crew aren’t the only ones dropping hot stuff. It seems there is a leak at the State of Maryland. Someone at the State, either the State’s attorney’s office or the courthouse (my bet is the State’s attorney) is posting documents on the prestigious forum known as Reddit. Specifically in what is now called the “dark sub”, the sadly defunct/dysfunctional Serialpodcast subreddit, which all those who are sane and actually connected to the case have fled. We’re in “The Magnet Program”, a subreddit meadow full of sunshine and smart people. Anyhoo, for the past couple of weeks a user who goes by “Stop_Saying_Right” has been posting documents that he or she is either getting from an internal State source, or is someone from the State themselves. I say this because these are all documents I have, the same ones Sarah had, and now Susan and Colin have, but these are different versions. Now, to be clear, there is nothing to hide in any of these docs, which include post-conviction testimony from Adnan, myself and Urick, an email with a sick joke that a student at Woodlawn sent 16 years ago (searched, can’t find it, maybe mods removed it, not sure), and closing arguments from the second trial. What’s great is that some of my documents are missing pages (I’ve asked Justin, Adnan’s post conviction lawyer, to get full records from the court) and these “leaked” documents are actually complete. Thanks, Leak! You know what would be great? To find out who is supplying these documents. Because hey, whoever you are at the State, why hide behind anonymity? Come out into the light my friend. Since the folks working for justice for Adnan post using their real identities, you should too. Also because I think the media/public/courts would just really like to know who, on our tax dollar dime, is spending time doing this. Lastly because I’m sure the Attorney General of Maryland would like to know who is embarrassing his office thusly. Considering the pressure cooker that is Baltimore right now, this is probably something officials there do not want to deal with. Someone is bound to identify the leak. I can’t wait find out. I kind of love this place. Istanbul in particular, but the entire country is pretty amazing. History? check. Architecture? check. World heritage sites? check. Religion? check. Incredible food? check. Really nice people who happen to LOVE Pakistanis? check. Awesome shopping? check. Safe, clean, easy to navigate? check. Its hard to pick a favorite place in Istanbul but if I had to decide I’d be divided between the Aya Sofia and the Mihrimah mosques, built as a monument of love. I’ve only had one day to play this time and then will be getting to work but believe me when I tell you, it was a really full day. 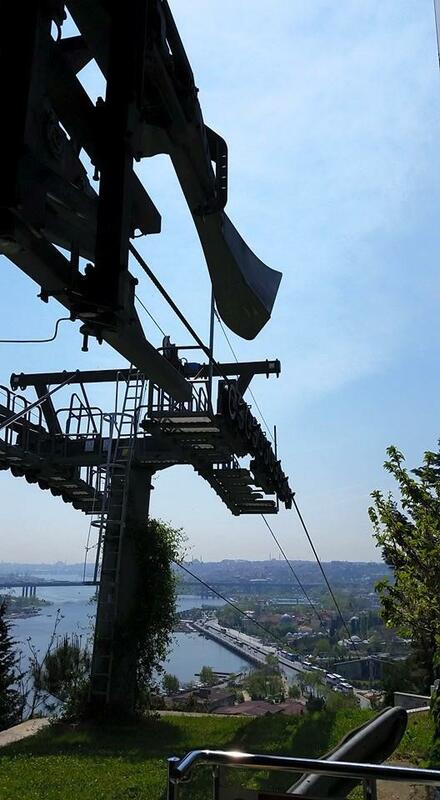 I started off by taking a tour with the hubby of the Bosphorus, which was about as perfect as you can get. The weather was great, the water deep blue, clean, alive, and very few tourists. A pic from our boat ride on the Bosphorus. The Ottomans really knew how to build stuff. 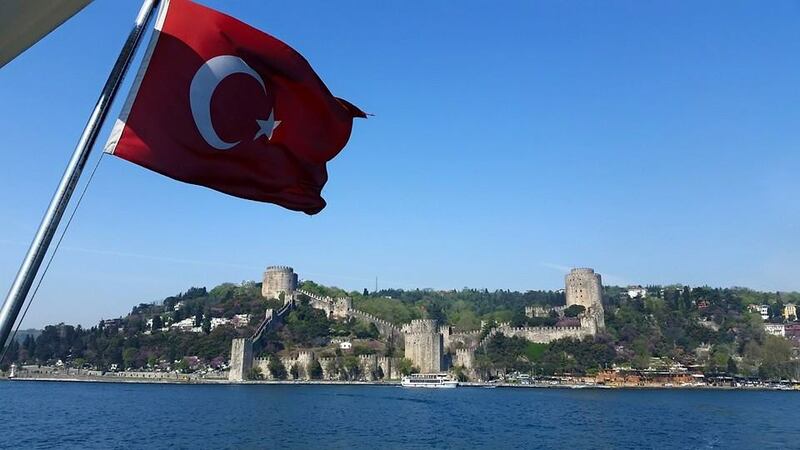 That’s a fort called the Rumeli Hissar Castle that was erected in a record four months in 1451. After two lazy hours on the water, we then were driven up to a vantage point over the Ayub Ansari neighborhood where we took a short cable car ride down the mountains and um, over a cemetery. Not creepy at all. Also, there was a cute old man in the cable car who asked for the ice cream cone I had been working on and then handed to my hubby to finish. Ok. Whatever. Turkish marash ice cream is that good. A ride over beautifully maintained graves. Okie. 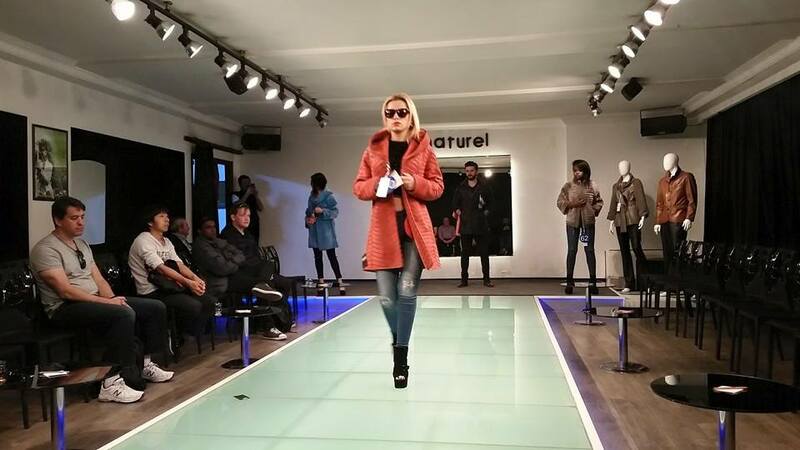 Our tour ended with a shady and really weird fashion-show-sales-pitch-by-ambush at a leather store called Naturel. Our guide was like “hey this is a good place to stop and wash up, go to the bathroom, and they wanna give you a presentation”. What ensued was an offensive yet captivating fashion show of some pretty gorgeous leather jackets – offensive because uh I did not sign up for this and YOU ARE WASTING MY PRECIOUS TIME. I hope whatever commission the guide got was worth our misery. The models were so enthusiastic. Our little group thought we were stuck in the twilight zone. Look at that poor guy on the left. Just look at him. 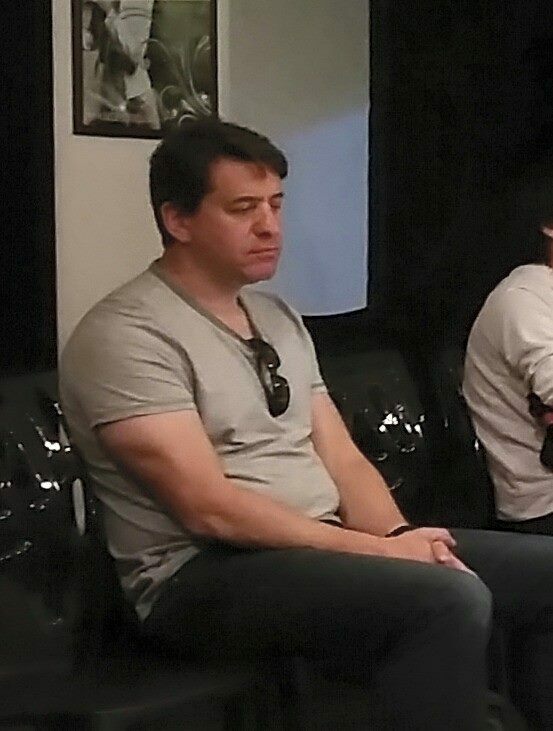 That face said what we were all feeling. Tour ended, we were free to go about the rest of our day, which got considerably better. Because, hello beautiful. Yes, I’m talking to you ancient religious wonder, Aya Sofia you. 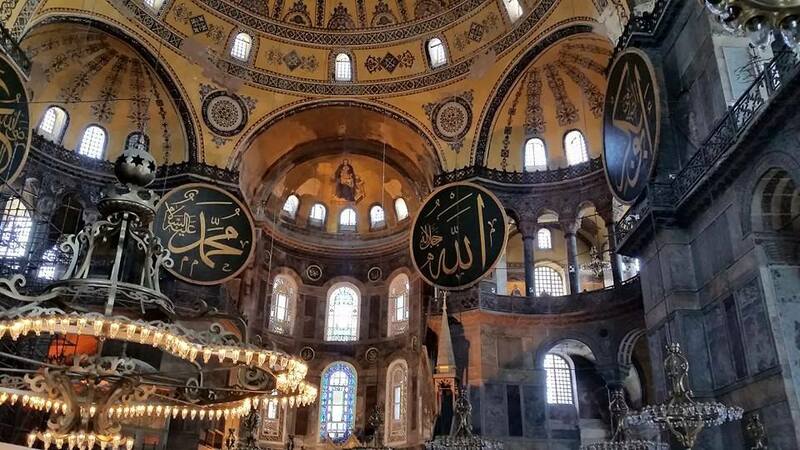 The history of this place is fascinating and the existence of Christian and Islamic art in the same space is breathtaking. Yes that is the Virgin Mary and Child in the middle of two huge placards that read “Allah” and “Muhammad”. 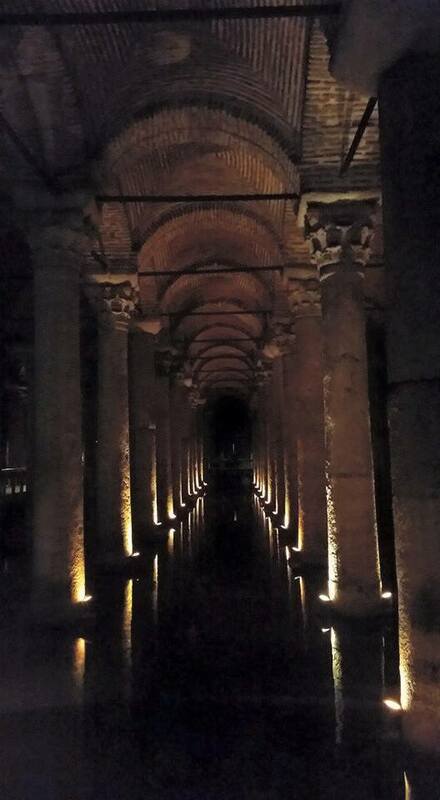 We ended the day by lowering ourselves in the bowels of Istanbul to enter the haunting Basilica Cistern. I badly wanted to take a nap there. Under the old city of Istanbul is this incredible site, a cistern from the 6th century. You walk among the columns on walkways, and underneath is water with fish as large as small dogs swimming around. 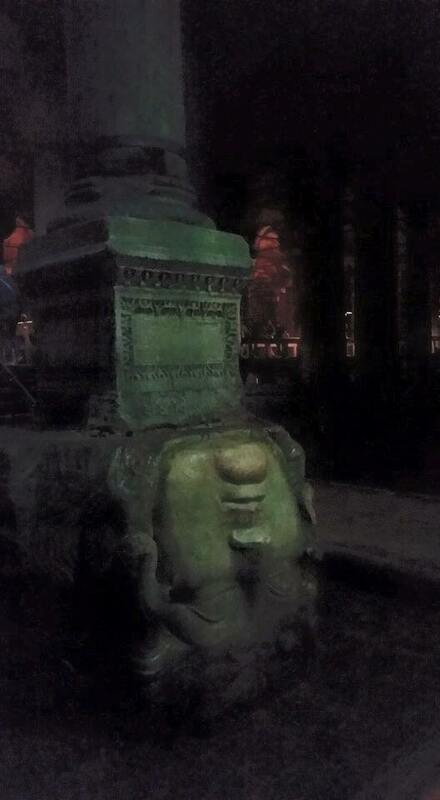 Upside down head of Medusa holding up one of the hundreds of columns in the Basilica Cistern. Spooky. Hubby thought they made a mistake. Um ok. The Court of Special Appeals of Maryland has scheduled arguments in Adnan’s post conviction hearing for June 9, 2015. Prayers, good wishes, good vibes, good thoughts, send it all our way. Please.